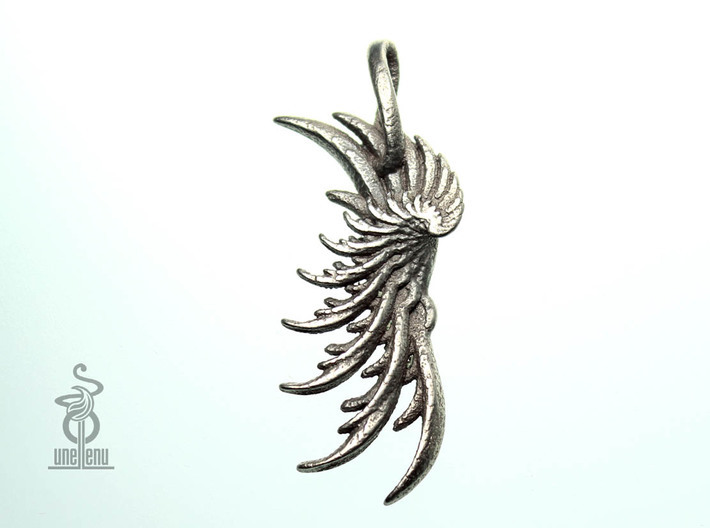 "Wing' pendant, is both structured and organic in its aesthetic. Let your imagination fly away to another realm! The pendant is 5cm in height including the loop at the top. View a youtube video of this design, or view the embedded video below. The pendant is shown photographed above in Stainless steel. Plastic options are also available for this design (listed as a separate product). The unellenu store on shapeways - for designer objects, fractal art, sculpture and jewelry.